During his short stint leading health policy for the Trump administration, Dr. Tom Price spearheaded a number of efforts to ease the regulatory burden on the industry, especially for his peers in the physician community. While few expect the administration to dial back on that commitment, Price's resignation Friday as HHS secretary could, at least momentarily, force agency heads to tap the brakes on any bold new policies. "It clearly puts everything in slow motion," said Gail Wilensky, who oversaw Medicare during George H.W. Bush's presidency and is now a senior fellow at not-for-profit Project HOPE. "The heads of agencies tend to not make major decisions without the head of the organization in place. It makes agency leaders a little more conservative." Under Price, HHS took a number of steps to scale back several Obama-era regulations. For instance, the CMS carved small physician practices out of complying with new quality and reporting rules under the Medicare Access and CHIP Reauthorization Act. The CMS also took steps to make bundled-payment models voluntary. And earlier this month, the agency issued a request for information on how it can taper back mandatory participation in new payment programs further. The American Medical Association earlier this month started tracking the department's deregulation agenda. Jeff Smith, vice president of public policy at the American Medical Informatics Association, said the industry shouldn't expect huge shifts in policy, suggesting that agency heads will continue to look for ways to deregulate and slow the growth of various programs. Although Seema Verma remains in charge of the CMS, Price set the agency's tone for going after what he deemed regulatory overreach. "Price ushered in a new era of slowing the pace of some of these dramatic payment models," said Republican healthcare analyst Lindsay Bealor Greenleaf, director at consultancy ADVI Health. "There's a difference between being forced to do something and doing something naturally. Not having him oversee the agency is disappointing." 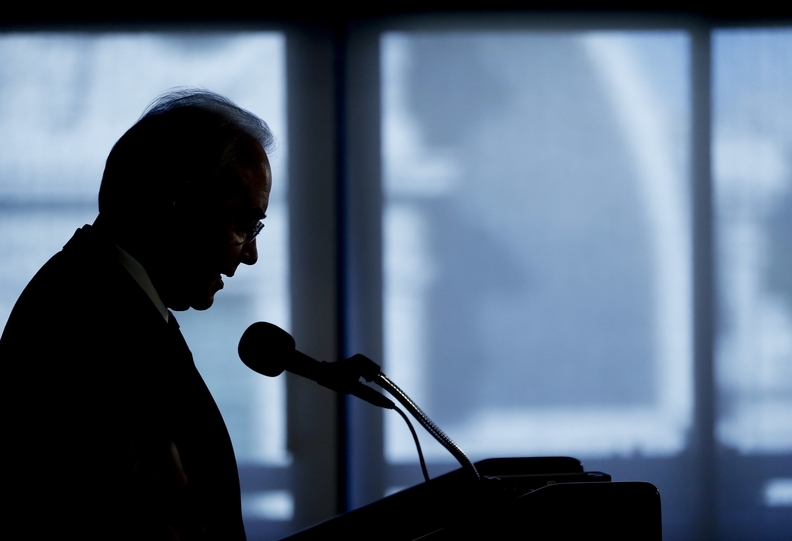 Price was forced to resign Friday due to a brewing controversy over his use of private planes. He reportedly had taken at least 24 flights on chartered planes at a cost of over $400,000. Price said Thursday that he would pay the Treasury just over $51,000 for the flights. Acting Assistant Secretary Dr. Don Wright will stand in for Price until a permanent replacement is confirmed by the Senate. For his part, Price expressed optimism that the department will carry on with the Trump administration's agenda. "Success on these issues is more important than any one person," he wrote in his resignation letter. "You may rest assured that I will continue to support your critical priorities going ahead because failure is not an option for the American people." Industry observers noted that several of the department's moves under his leadership predominantly helped physicians. A new secretary may broaden the scope of the deregulation agenda. "It's hard to imagine that the medical community will find anyone better," said Wilensky. "Physicians may feel a little nervous; like their protector is gone." Price's resignation comes on the heels of the GOP's inability to repeal and replace the Affordable Care Act. Congress' failure to act, said Bealor Greenleaf, put even more a spotlight on HHS. Aside from easing up on mandatory payment programs, the department is also reviewing a number of Medicaid waivers that would allow states to institute work requirements, lifetime limits or drug testing on enrollees. Early in his tenure as secretary, Price encouraged state officials to apply for such flexibility. Regardless of what happens in Washington, industry leaders can ill afford to take their eyes off of the bigger issues of improving quality and reducing costs, said Rulon Stacy, managing director of Navigant. "The course that I've been talking about for the last 12 months has not changed," said Stacy, a former hospital executive. "My recommendation to the industry is to get your costs under control. There's nothing that's going to happen in D.C. that will justify us providing services at higher costs." Stacey expressed dismay that hospital expenses seem to be on the rise, citing a Moody's Investors Service analysis showing that expenses at not-for-profit providers grew by 7.2%, outpacing annual revenue gains of 6%. The larger expense growth was driven by rising pension contributions, higher labor costs amid a nursing shortage, technological investments and growing pharmaceutical prices, according to Moody's. Hospital leaders need to get costs under control, continue to put processes in place to improve quality and wait for the administration and Congress "come to grips with what they are going to do," Stacey said.